The official blog of Allison Blanchard - A young adult novelist writing books, whilst teaching the youth of America and drinking obscene amounts of coffee. Hello, my lovely readers and fellow writers! 4. Now have a big girl job teaching English Language Arts to the best kids in the world. I currently teach American Literature and Composition to Juniors in the Gwinnett County area. AND. I. LOVE. IT. So, those are my four excuses for leaving you all in suspense. However, I do have some great news. The third and final book in The Forget Me Not Trilogy is almost done. Over halfway finished before it is sent to the editor. I promise, as soon as I get information on the publication, you will be the first to know. But moving on. I am here to review one of my favorite authors and good friends, Marianne Curley. Marianne has published the fourth book in the Guardians of Time Series, entitled The Shadow. If y'all know me at all or remember me from when I used to post on the regular, then you know how much I love Marianne Curley. Not only as an author but as a person. She is truly one of the most humble, kind, and talented young adult novelists that I have had the pleasure to read growing up and to have as a friend now that I am also an author. Even if we live several continents away from one another. Her latest novel, The Shadow, picks up where the last in her trilogy, The Key, left off. Now, this review will not contain specific spoilers, but if you haven't read this novel or any other books by Marianne Curley, then stop reading now. Seriously. Stop. Go buy them. Read them. Love them. Marianne Curley takes the reader on a beautiful journey back through the characters she created many years ago. We see all of our favorites: Ethan, Isabel, Arkarian (we know most people read just to see what our favorite blue-haired ageless mentor is doing), Matt, Dillon, Neriah, and many others. Marianne also brilliantly weaves in new characters that seem they have been there the whole time. 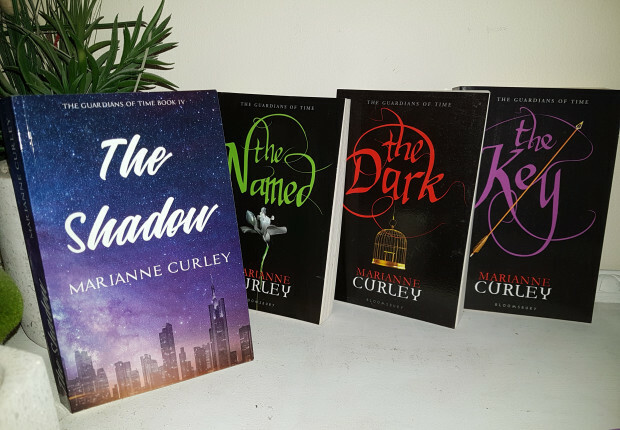 While most continuation to series can leave the reader empty or wanting more, Marianne Curley successfully and seamlessly brings this world back to life and transports readers to another world where The Named and immortals are real and protect our world from the powers of chaos. 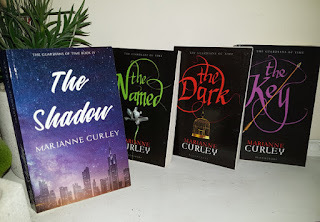 To be honest, I wasn't sure if The Shadow would live up to the last three novels in this series, The Named, The Dark, and The Key, but it surpasses all of my highest expectations. This novel is true to the characters and to the story of The Named. Marianne Curley's prose takes the reader on a roller coaster ride of emotion - from sorrow to hope to suspense to laughing out loud (Legit, I love that Ethan and the others refer to using their wings as "wing out.") to absolute happiness. Readers new and old will not be disappointed by this novel. It is one of my absolute favorites and one I will read and read again. 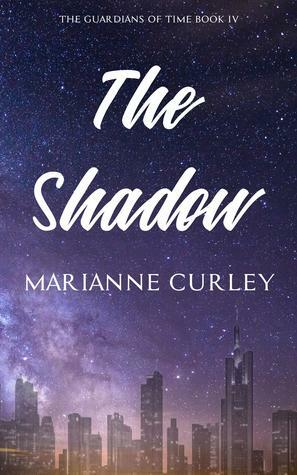 The Shadow by Marianne Curley can be purchased on Amazon, both in print copy and via Kindle download. Links to Marianne's website and her latest novel are below! GO BUY IT! Walking Through Midnight in Paris...No, but really!